Emergency Dentists USA is your premier resource for finding the right Lubbock emergency dentist without the hassle of searching through an unfamiliar city. Our convenient listing of Lubbock emergency dentists gives you the exact information that you need to take care of that nagging toothache or that lost filling. With a variety of dental clinics available, you can choose one of several offices that provide after hour dental care even on the weekends. Also, check out our 24-hour dental emergency hotline to speak with a live operator who assists you with choosing the right Lubbock emergency dentist for your dental emergency. I chipped my tooth and was in pain but had no idea who to see. 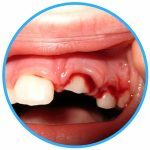 I was happy to find this website with a lot of helpful information on dental emergencies and even listings of local dentists with hours, phone, address, etc. It was so helpful! Emergency Dentists USA provides you with a variety of options for servicing your emergency dental needs in Lubbock, Texas. From clinics that provide after hour treatment late in the evening or on the weekends, to emergency clinics with dentists standing by to relieve your dental pain, our convenient listing of dentists makes it simple to select a great dentist. Walk-in dental clinics allow patients to walk in without an appointment are tough to find. Abbeville Dentistry does provide same-day appointments and Lubbock has excellent hospitals with emergency departments that offer walk-in services. After hours dentists are regular dental offices that provide hours after normal business hours. Dental offices like Abbeville Dentistry and Lakeridge Dental Family offer extended office hours to make seeing a dental professional a breeze. Emergency Dentists USA maintains a comprehensive listing of Lubbock emergency dentists who are standing by to make handling your dental emergency a simple process. Simply scroll through our dental offices listed below and choose the Lubbock emergency dental clinic that suits your needs and your schedule. Use our convenient listings below, or contact our 24-hour dental hotline to speak with a live operator who is ready to help you find a great Lubbock emergency dentist. Description: Call to be connected with the perfect dentist for you. 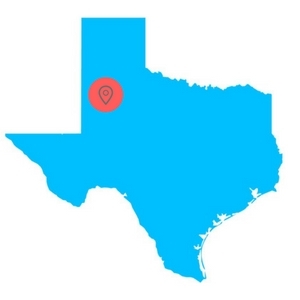 Lubbock is a large city and we have the connections to find a dentist to fit your needs, and can get you an appointment immediately. Description: Providing first-rate emergency dental care services in Lubbock, TX at four strategically locations, this dental outfit is one you need to give a close look. The first visit is free which includes X-rays and exam and if you are plagued with a painful tooth, then call and get your appointment time slot. This free dental consultation is valued at $278. They specialize in same day appointments and that can be instrumental for those suffering from an unusual dental malady. Description: Lakeridge Dental Family is a weekday clinic that is here for you to serve your needs until 7:30 PM. You may have a dental need for one of your children, which really can make any parent nervous. Don’t be nervous, and bring yourself or your loved ones into Lakeridge Dental family for a checkup or other need today. Try to arrive at least 15 minutes prior to your dental appointment to complete any necessary paperwork. You can also use this time to ask questions regarding your dental procedure. Gather your recent dental x-rays and examinations to bring with you to see your new Lubbock emergency dentist. Remember to bring your driver’s license or other identification for your first visit. Most emergency dental clinics accept cash, personal checks, credit cards, and even offer low-interest payment plans for more costly services. Ensure that your new emergency dentist accepts your dental insurance. Choosing an in-network dentist can save you money when the time comes to pay the dental bill. Let your emergency dentist know if you are allergic to any medications. Bring a list of your current medications with you to visit your new dentist. Common 24-hour dental emergencies are what bring most people to their Lubbock emergency dentist in a hurry. These types of emergencies include painful toothaches and chipped or broken teeth that require an immediate repair. 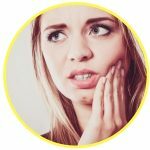 Common dental emergencies can be quite painful, like an abscess or relatively pain-free like a lost filling or a broken bracket or wire on your braces. The most common dental emergencies can be treated quickly in any of our Lubbock emergency dental clinics. Knocked out teeth are a common dental emergency. In some cases, you can retrieve the tooth and rinse it carefully with plain water. Hold the tooth only by the crown and place it back into the gum. Remember to avoid touching the root of the tooth. If you are unable to place it back into the gum, save the tooth in a container of milk or Save-a-Tooth. Use a moistened piece of gauze or a moistened tea bag to control any bleeding in the area of the lost tooth. A cold compress outside of the mouth helps to reduce swelling and pain. 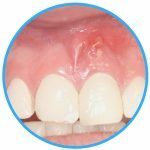 An abscess is actually an infection that occurs between the teeth or in the gum below the teeth. This type of infection is usually painful and can become quite dangerous if left unaddressed. Rinse your mouth with salt water several times per day to draw the pus from the infection to the surface of the gum. Use a cold compress outside of the mouth to lessen your pain and any swelling. Visit your Lubbock emergency dentist as soon as possible to ensure that the infection does not spread from the gum to other parts of the mouth like the bone of the jaw. A loose or lost crown often occurs when a person eats sticky foods like candy. If you are able to retrieve the crown, rinse it carefully with plain water and fill the interior of the crown with over-the-counter dental cement or toothpaste. Place the crown back over the tooth and apply gentle pressure. If you are unable to replace the crown, bring the crown with you to visit an emergency dentist as soon as possible to repair or replace it. Leaving the crown off of the tooth can cause the tooth to continue to decay and become quite painful when you chew. You may need an emergency tooth extraction if your tooth has decayed to the point where your Lubbock dentist is unable to repair the tooth. It is important to have this emergency tooth extraction accomplished as soon as possible to avoid complications like infections. Your dentist will begin your treatment by taking an x-ray of the tooth and performing an examination. He or she then chooses a general or local anesthetic to help you to remain comfortable during the treatment. A special tool is used to remove the tooth from the gum, and the gum is stitched closed using a type of suture that dissolves over time. Sometimes the tooth is broken into pieces and then removed from the gum. Full healing from the emergency tooth extraction generally occurs within one to two weeks. Following your extraction, you should take any prescribed medications as directed. Try not to drink from a straw or eat solid foods for the first few days after the procedure. Avoid drinking alcohol or smoking until the gum is completely healed and visit your emergency dentist for any follow-up appointment that is necessary following the procedure. Visiting a hospital emergency room for your dental emergency is important if you could have other injuries. For example, if your dental emergency stems from a fall, car accident or a sports injury, you might also have a concussion or a broken bone. In this case, it is important to have your injury inspected by an emergency room physician. When you have a common dental emergency like a toothache, heading to the hospital emergency room can be a waste of time and money. Most hospital emergency departments do not have the equipment or training to replace a broken tooth. This means that even though you are able to see a doctor, you will still be required to visit a dentist to repair the tooth itself. An emergency dentist is prepared to handle any of the common dental emergencies described on this website, and he or she can do this at a lower cost to you in most cases. Visiting your Lubbock emergency dentist first can save you both time and money. If you are unable to find an emergency dentist in your area, give our 100% free referral service a call and let our staff do the work for you! When you choose a new Lubbock emergency dentist, use the American Dental Association’s website to ensure that your dentist is licensed and certified to provide great dental care. You can also access the Texas Dental Association’s website to learn more about excellent Texas dentists and to read about dental care. Both websites provide helpful information regarding dental services in the Lubbock area and let you know whether or not your new dentist is fully licensed.